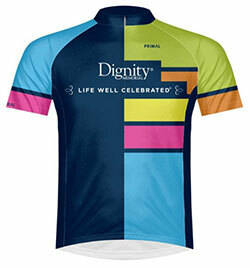 The Dignity Memorial® network is honored to be a National Team Partner of the ADA. We are a North American group of funeral and cemetery service providers with a long and proud history of community support and assistance. 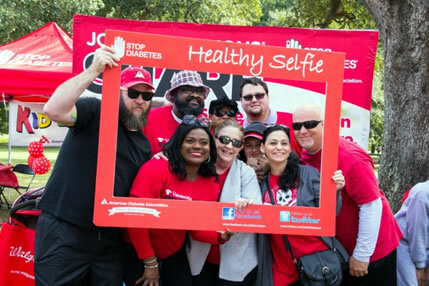 We are committed to those we serve, just as we are committed to defeating diabetes by funding research and advocacy, educating our communities and each other, acting upon what we learn and treasuring those we lose to this disease. Team Dignity is open to all employees, friends, family members and partners of the Dignity Memorial network. Participants may sign up for an existing local team, or create their own and serve as team captain. Team Captains: Click CREATE A NEW TEAM above. Find your Tour, go to the event site and click "FORM A TEAM". Be sure to select Team Dignity from the National Team pull-down menu. Is riding not an option? 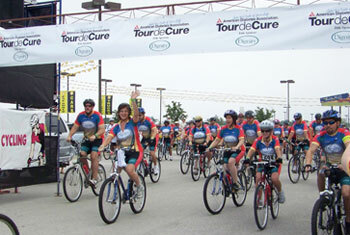 Contribute to the fight against diabetes by sponsoring one of our riders. Donations are tax-deductible, and your dollars will help fight a disease that affects more than 25 million Americans, and 200 million people worldwide.